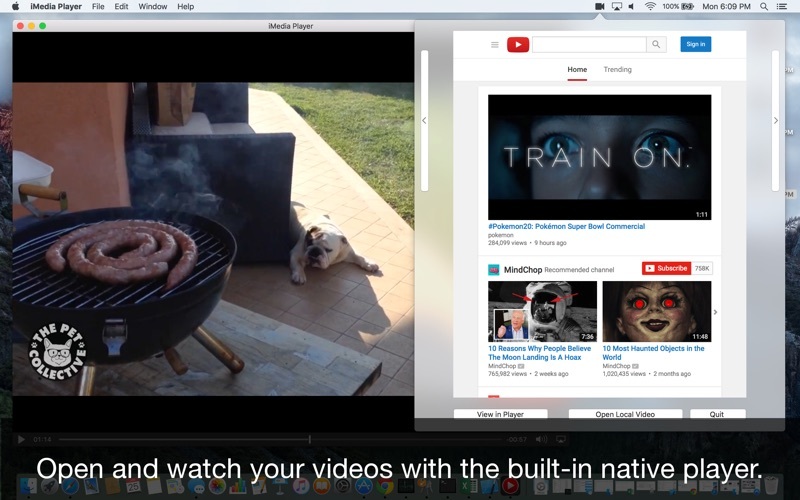 ** Flix Player gives you fast access to YouTube via the menubar with an option to watch videos Ad-Free in the built in native video player. 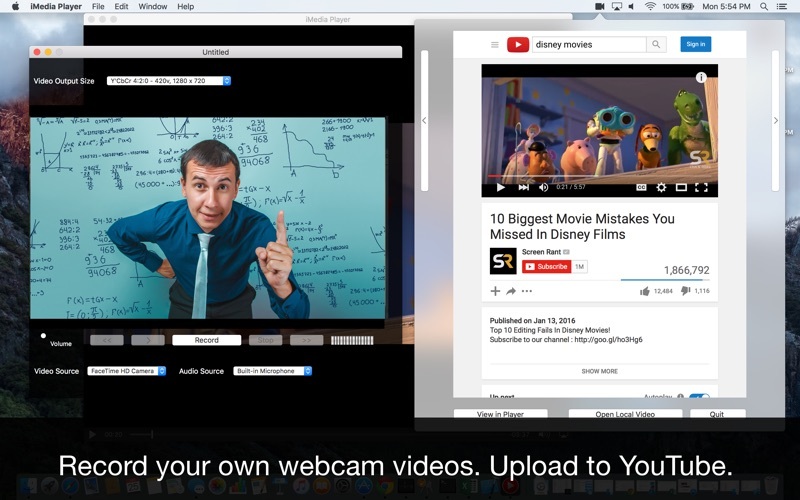 ** Also includes web cam recorder built in. 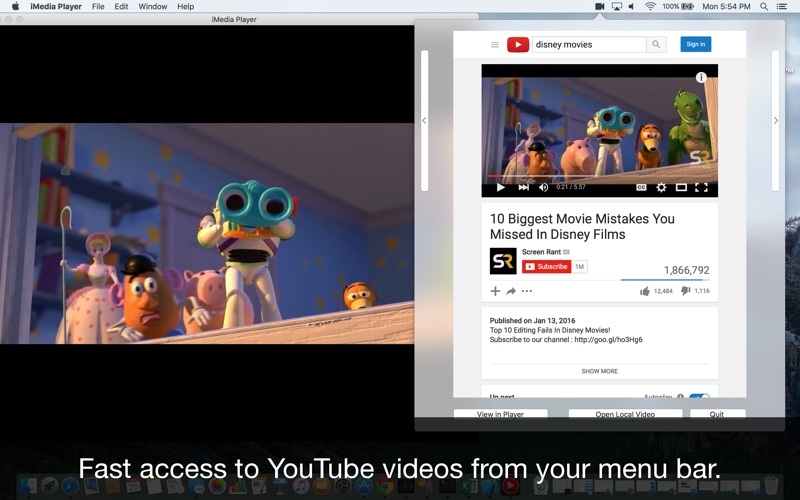 Quickly access YouTube from your menu bar. 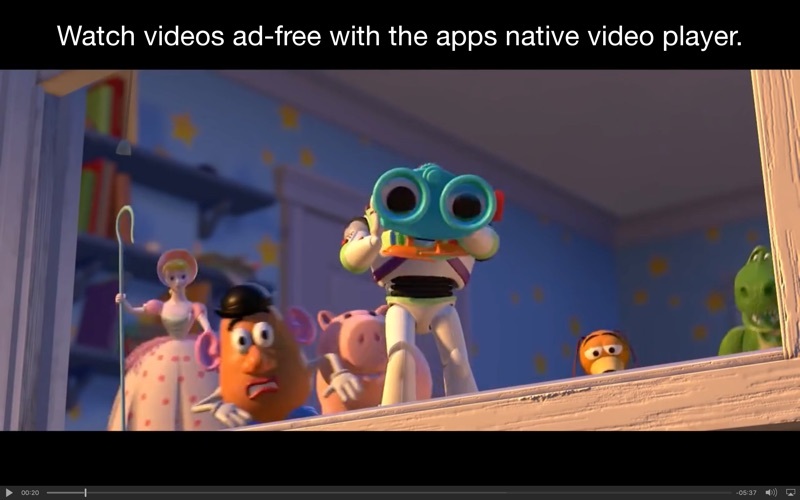 Flix Player is a 3d party app and is not affiliated with or endorsed by YouTube or Google Inc.